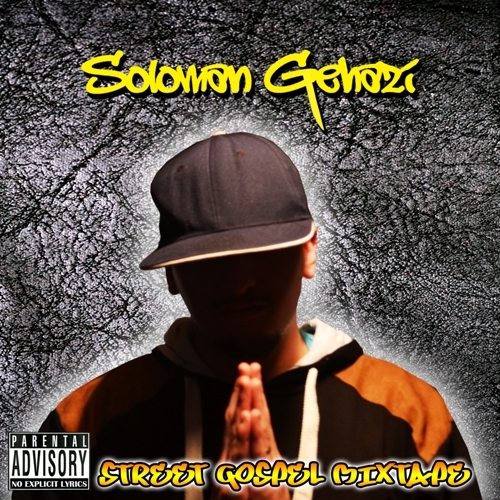 Soloman Gehazi is an up & coming rapper from Wolverhampton, UK who has just dropped his brand new twenty track free download entitled ‘Street Gospel Mixtape’. Already getting championed by some of the leading blogs in the UK, this explosive release is a must for any Boom Bap underground Hip-Hop fan. Featuring production from Divine Arkatek, Beat Busta & D7 and features from Webster, D7, Jae Sosa, The Praying Mantis, Too Classical, Radical and many more, this is a project you need to get up. This is real Hip-Hop music for real heads. Born and raised in Wolverhampton, Soloman Gehazi has been crafting his art since his early teens being brought up in a multi-racial family; he draws from real life experiences while always remaining conscious and positive in his songs. He was instantly hooked on Hip-Hop after being introduced to it at the age of eleven when he started listening to Cypress Hill, Busta Rhymes, 2Pac, Notorious B.I.G and many more. As he matured he found peace when he found God and a few years ago started to record music with a more spiritual & uplifting vibe. In 2012 he created a buzz with his album ‘Knowledge Lessons’ which led to him hooking up with D7, a producer & rapper from South London. The two got their heads together and they decided to start independent record label Remnant Muzic. Since then he has dropped three music videos, featured on releases from D7, Matt D, Shugmonkey and more, as well as working with various producers from the UK and overseas. There is no doubting with sharp punchlines, excellent delivery, precision flows, positive messages and vibrations, there is no stopping Soloman Gehazi. Its time you got to know!